This poem is spillover from the July 5, 2016 Poetry Fishbowl. It was inspired by a prompt from chanter_greenie. It also fills the "special delivery" square in my 7-1-16 card for the Winter Fest in July Bingo. This poem has been sponsored by Anthony & Shirley Barrette. It belongs to the Shiv thread of the Polychrome Heroics series. the craft room for them. so we won't see him until lunch,"
of steel billets in assorted types." into a prison?" Shiv asked. an idiot for mistaking the word. a dim sense of smaller bits inside. and lifted the lid of the case. rows of gleaming metal billets. "Those look handsome," said Mr. Vanburen. "These are pieces of ultra-premium steel,"
then you're going to make a knife blade. that Simon and I are hoping for." so beautiful in his head, heavy with potential. "Steel is typically described with five qualities,"
stress. Toughness avoids damage like chips. Wear resistance stands up to friction or gunk. Corrosion resistance prevents it from rusting. Edge retention means how long it stays sharp." the best steel you can get?" Shiv said. is more important to the job at hand." even if they looked similar on the surface. and edge retention, plus high corrosion resistance." some other way, though? I don't know how." "Could be the chromium," Tolliver said. but it's still pretty easy to sharpen." "That one's better," Shiv said. "ZDP-189 is one of the hardest steels,"
Tolliver said, indicating the middle billet. to sharpen, and it’s more prone to corrosion." Shiv shook his head. "I don't like it." "This one's a mirror steel, M390,"
it's kind of a pain to sharpen." "It's too shiny," Shiv complained. "That looks like a toy, not a tool." what was going on. "What'd I say?" of a tool, not a weapon," Tolliver said. would use a pocketknife in a fight. "That's very true," Tolliver said. to sharpen in the first place." so sturdy! I don't know why." it's a toughening agent in steel." his fingers tapping on the table. is careful work. Here, look at these." to illustrate the unique alloys. Choose one and copy it." or be used as a can opener. "That's a reverse tanto blade,"
to do is really concentrate on that billet. you've got and pour it into that blade. The Greeks call that meraki." Shiv glanced at him, then looked away. today, not a bunch," Tolliver said. "We'll go straight to lunch afterward." a chance to throw his back into his work. practicing finesse instead of power. turning it over in his hands. "First, look at it with your eyes,"
Tolliver said. "Learn the color of it. can warn you of weaknesses in the steel." "Next, feel it with your hands,"
is it? How smooth or textured?" that it won't fall apart either." of where I can really help you,"
your superpower. What's it like?" "I don't know," Shiv said. there aren't words to tell it." say clay is supposed to feel," Shiv said. like trying to make a snowball with slush." and make the best blade you can." "It'll take a while," Shiv warned. "It's meant to," Tolliver said. into the steel. Shape it. Hone it. Polish it. Love it, even." "You still have most of an hour,"
warmed from pressing against his skin. to flow into the shape that he gave it. that he wanted the blade to take. into material that was flimsy. silky and resilient under his touch. emerged from the long rectangle. a complete knife blank lay there. pointing at the base of the blade. punch a hole, here; to make the tang." 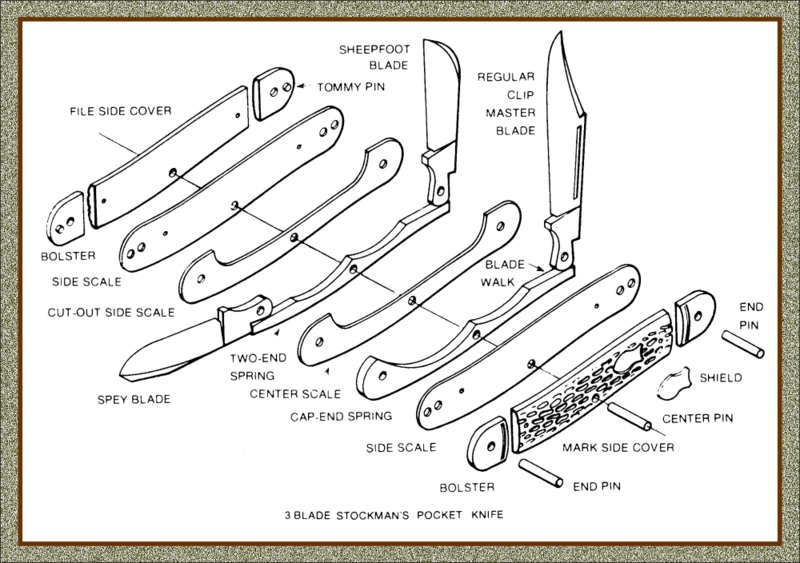 the various pieces of a folding knife. would need to take to fit into the handle. Actually making the shape was harder. in crisp lines, and it resisted being punched. sharpened them until the edges were crisp. "That looks fantastic," Tolliver said. "Go ahead and sharpen the blade." what its shape made it good for. really made for shaving or such. like a good hunting knife had. the edge sharp and sealing it that way. the darker gray of the steel. "Put your head down for a minute,"
all ready to be put away. supposed to do to hide him. gently tucking wet hair behind Shiv's ear. else that might mean trouble?" and it wasn't ... entirely awful, anyway. "Well, you worked real hard,"
you'd be tired and hungry. Here." Something pattered onto the table. a handful of brightly colored packets. "Think I need more than ketchup,"
he grumbled, but took one anyhow. because pilots and soups like it." but couldn't get it open. He growled. going to waste on the table,"
he slurped down the rest of the packet. a metallic tang that promised vitamins. wanted more of it right now. those things?" the guard asked. said Tolliver. "But for soups? their water bottles with energy gel. I swear, they're like hummingbirds." "I'm not a bird," Shiv muttered. a faster metabolism," Tolliver said. "So, may I check your work?" the knife toward him, tang first. into it," said Mr. Vanburen. "Can I see it too?" "That is something else," he said. he could lick the insides. turning to Shiv. "Be careful." "I can walk," Shiv snapped. Tolliver held a hand behind him. and my brother both," he said. "I'm good to go," he said. "I'll lock up the goods," Tolliver said. or in the safe-deposit box?" put one on it," Tolliver said. to learn the tone of it from Dr. G.
drilled out of some kind of stone. looking at Mr. Vanburen. "It locks." and then handed it back. "Fine." "Can we please go eat?" Shiv said. His stomach growled despite the gels. He felt chilled and empty inside. "Yes, of course," Tolliver said. "Mr. Vanburen, the door if you would." his shoulder made him slow down. Shiv, you could trip," Tolliver said. "You did well today; I'm impressed. Let's try keep it that way, okay?" to realize that he agreed with it. all the way over to the cafeteria. Meraki means doing something with passion, putting soul into it. Billets are used to make knives and other things. They're usually made from a single type of metal, but Damascus billets are made by folding together different types of steel. Give Shiv time to grow into his talent, and he'll be able to make these things with his bare hands. Knife blanks have a blade and tang, but not a handle yet, and they aren't sharpened. You can buy these and other knife parts at a supply shop for knifemakers. 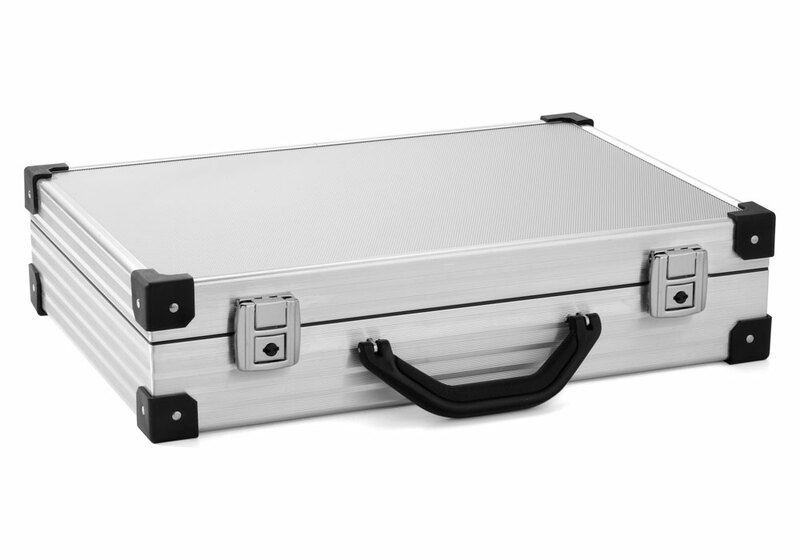 High-quality tools or materials may be transported in a secure container. This locking knife case has foam inserts to hold everything in place. Knife steels come in many styles. That article explains hardness, toughness, wear resistance, corrosion resistance, and edge retention. It also compares CPM S90V, M390, ZDP-189, Elmax, and CPM 20CV steels. The argument over fixed vs. folding blades is perennial. Shiv happens to feel that the advantages of fixed blades outweigh folding blades for tactical purposes. Folding knives are more versatile and convenient tools for everyday carry, but the inherent weakness of the hinge can only be compensated so far by a brilliant lock. Nevertheless, some people still use folding knives for combat. One interesting thing about Terramagne-America is that the widespread use of knives as tools, and their narrower use as a loss leader in street violence, has maintained a much higher general knowledge of knives. Even Shiv, with his crappy education, has a pretty good grasp of knife use and safety. See the Benchmade 940-1 Osborne-Plain Edge/Satin Finish CPM-S90V with the plain edge reverse tanto blade. Knife blades come in many shapes. This is the reverse tanto, which has fantastic tip strength. It makes a good knife for everyday carry. Knife making is a complex art. A good way to learn is with a pocket knife model kit in plastic, which T-American folks often give to children who are almost old enough for a real knife. 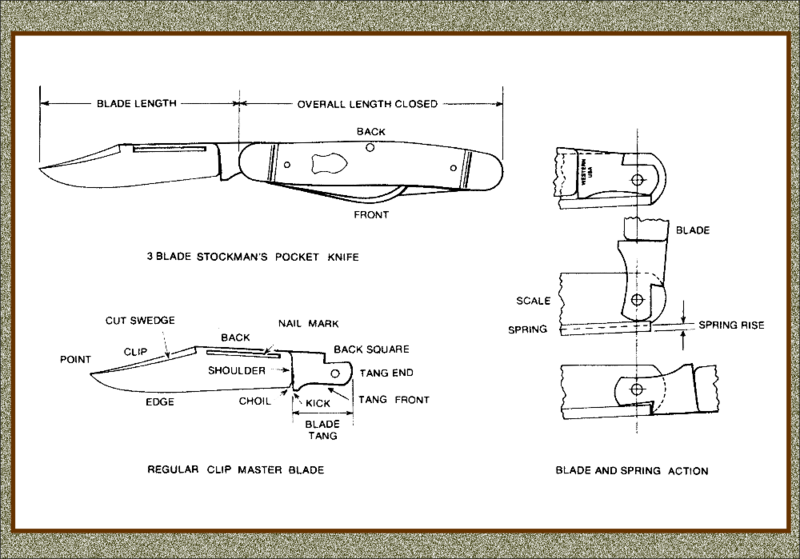 This makes it easier to learn the terminology, parts, and assembly of a folding knife. Sharpening knives requires an understanding of the angles. Learn about knife edge types, angles on different blades, and angles in comparison to each other. With superpowers, you can put an impossibly sharp edge on a blade and make it stay there, but that doesn't necessarily make it a good idea. Material quality is a crucial factor in constructing important items. This appears in magical artifacts in games and Pagan artifacts for ritual. You can also see it in solid-state lasers, which require high-quality crystals. One reason is that pure, perfect materials allow energy to flow more freely, as in electrical resistivity and conductivity. Other factors are capacity (the amount of energy that can be stored) and durability (how long a charged item remains intact). Superpowers, like many other types of energy, tend to "burn through" low-quality materials quickly. That's because the impurities and disorganization of the material matrix cause the energy to bounce around inside, which reduces both the flow of the energy and the durability of the item. Poorly formed materials also have lower capacity because the energy doesn't fill in the space as evenly. I haven't found much written on this topic, but it seems to be commonly known among artifact crafters. Also anyone with high enough personal energy knows it, because the effects are obvious -- I've seen friends burn through a hematite bracelet or carnelian ring in a week, and those were pretty good materials. I've seen canvas degrade so much in a couple of weeks that I could tear it with my hands. So part of what Shiv can feel in the steel is how its quality interacts with his energy. He knows the good stuff as soon as he touches it, even if he doesn't understand why it feels better to him. Damascus and other types of folded steel are made with a lot of work in the forge. Damascus blades are famous for feeling "alive" in your hands. Superpowers create even more lively blades. Superpowers, like any other ability, are prone to unpleasant effects from overstrain. One reason is because they, like physical or mental exertion, tend to burn up the glucose in the bloodstream. The symptoms at lower levels are similar too, and include exhaustion, headache, and dizziness. Farther along, symptoms worsen into things like fainting and nosebleeds. Shiv isn't accustomed to exerting this much effort with his abilities; previously he's only used them for a few minutes at a time. It's good that he's learning his limits in a safe place with people who know what to watch for and how to fix any problems that pop up. Energy gels come in various styles and flavors. Here's a look at the ingredients and performance of popular brands. Speedsters, who have some of the highest-burn superpowers, really will take a watery energy gel and fill a bottle with it to drink on the run. Some strongmen also like gels, more often the thicker ones; but others prefer protein. Fat seems equally popular between the two. Tolliver brought CarbBoom, which comes in many flavors and packs a lot of calories. 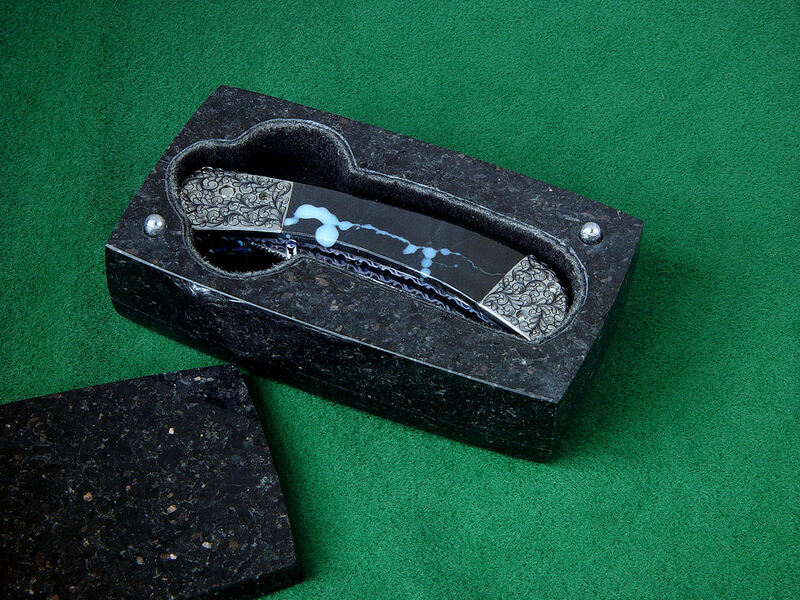 This is the stone knife box. The more heavily worked a super-gizmo, the easier it is to recognize as such. Not everyone necessarily will, but there are a variety of factors that support that: knowing the soup who made it, familiarity with the material or type of object, and sensitivity to energy in general are all examples. AND TOLLIVER IS SOOOOOO GOOOD FOR SHIV!!! EEEEE!!!! Agreed. Good good good poem. Shiv is developing into a true craftsman; a gifted artist and also a reliable supplier of excellent tools, with deep and ever-growing understanding of his work. He is that. It's going to take a while for it to sink in that he can be a supervillain AND an artist. Right now he's still very cagey about what he can do, because the crafting part isn't something he wants to be known for. He hasn't seen enough of supervillain society yet to realize A) how much respect it will earn him and b) how valuable it really is in trade. All he can predict is that it's something people would probably pester him for, and he's not keen on that. He'll come around eventually. Heh. Is Hanzō sweating or intensely interested? Yay! Shiv definitely has feline aspects. Tolliver really is good for Shiv, and Shiv is just getting to where he recognizes that and can tolerate it. This is a real breakthru for Shiv on several levels. First, using his abilities to make something really high-quality instead of just quick-and-dirty combat tools. Second, his ability to recognize the sound of a promise -- someone who is going to follow up on what they're saying. Third, him not freaking out about Tolliver touching him. This is all real, significant progress. I really disliked Shiv when he first showed up, but he's come far enough now that I'm actively starting to pull for him. Tolliver and Graham both clocked Shiv as an artist very quickly. Even though Shiv doesn't think of himself that way, he still acts like it; his sense of aesthetics is surprisingly refined for someone with such a crappy background. He has a good eye. That means he gravitates toward high-quality materials, despite having little exposure to them in the past. That makes it very easy for his support crew to entice him with treats. You wouldn't normally hand an apprentice a piece of ultra-premium steel, but for Shiv it makes sense. That really is new. Shiv has only had a year or two with Boss White, who keeps his word just fine but didn't know how to "highlight" that the way Shiv's current supporters are doing. But it did start laying some groundwork, so now he's getting the hang of it. Sooth. Shiv is extremely wary of physical contact, for past-valid reasons. So it takes him a while to let people near him. He's not really as far as liking it yet, at least not consciously -- but he is learning to recognize "not awful" as distinct from past abuse. So that means he's tolerating touch a lot better now than he used to. Shiv is almost comfortable with Dr. Bloch, Travis, and Wacker; or at least enough to create a real push-pull dilemma between his wariness and their growing appeal. Graham and Tolliver are a little farther behind because Shiv hasn't known them as long, but he's made enough progress that they're getting under his skin faster. He needs a lot more touch than he's been getting, but he doesn't understand that, because almost all of his experiences with touch have been people hurting him or pushing him around. Not fun. His body is trying to get its needs met, though, which means -- especially when he's tired -- it will ignore the usual pull-away signals from his damaged psyche. He can still be a rotten little turd, but it happens for a smaller percentage of the time. Harm reduction in action! Everyone disliked him at first, although one or two fans clocked the raging case of CSA and helped develop his background in ways that made his present behavior a lot more understandable. Yay! :D He's grown on me too. Yes to all three. I'm getting to like him / towards liking him. Good point. Dr. Bloch can do something like this, in terms of focusing on people's health even if they are supervillains. Ambrose does it, because he's just an expert in peacemaking skills. True. Of course, if you think of directing metta or prayers at someone as a way to change them then it raises ethical questions about consent. I approached this with interest but caution, not knowing what it was, although YouTube should be free from malware. It's fine! : a Tom Scott Things You Might Not Know" video, "The Spider Dress That Reacts To Personal Space Invaders". Natasha would love that dress. Still..aww.. Shiv done good! and he is going to be an awesome mage-smith! Things that transmit one energy well, often transmit others well. So those would be promising for superpowers, but they might be more use for something like a control device to aim lightning bolts better. I thought I saw yttrium in some of the steel blends. Yeah, here's one for stainless steel. If you wanted a blade that wouldn't corrode in an acid-leaker's hand, that would be it; superpowers would enhance the innate characteristics of that metal. Shiv could do it, if he stopped and thought about it. Tolli set him up for considering the tradeoffs. Then there are zetetics like this. He's another step closer to that commissioned knife, for Molly... which is going to be a truly awesome tool, one she'll /hand down/ in the family, someday. Yes, Shiv is making good progress on that. Yyyyeah. He prefer to hide the other things he can do that aren't supervillainy. I have no idea why people write that way. For me, including the links adds value for both writer and reader. Once I saw what could be done with hyperlinks in electronic publication, I really had a ball with it. The result is so much better than print. That was perfect. Lovely to see him stretching his talent and beginning to see the possibilities once he is able to use information and understanding rather than just whatever material happens to be closest at a time of need. I'm glad you liked this. Yes, Shiv needs more opportunities to use his gifts creatively -- and to make choices in general. Tolli has done wonders just by introducing him to new materials and talking about the process of making decisions.